1)The flour is the Key! Different types of flour are used to prepare the dough of the Roman pizza, but all of them have their high strength in common, i.e. : their ability to resist the long elaboration process and to absorb large amounts of water. This property of the flour is indicated by the W units, which, for this type of dough, must be higher than 300. 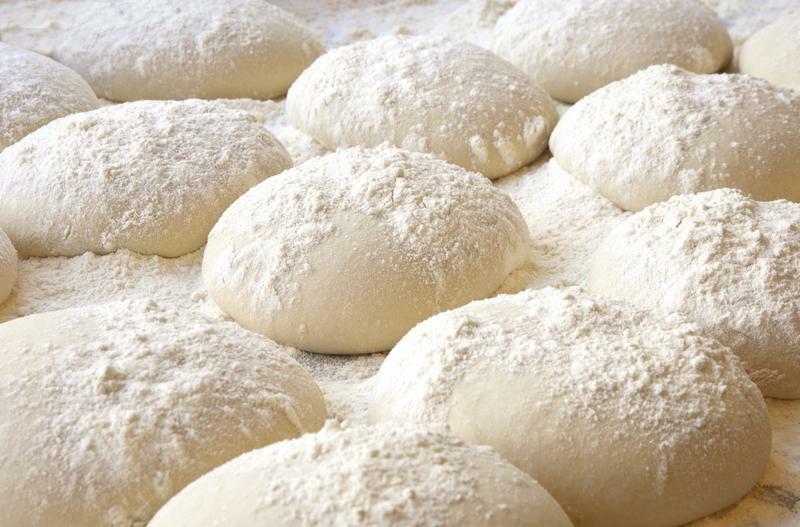 The peculiarity of the dough is its high water content: to prepare a good Roman pizza it is necessary for the dough to be more than 60% hydatred! Not surprisingly, flour with high absorbency is used for its preparation. 3) The long fermentation: the real secret! It is not only a question of the quality of the ingredients, but also of the elaboration technique and, above all, of the fermentation. Thanks to the periodic regeneration, the dough of the Roman pizza acquires its characteristic crispness and crunchiness: it is estimated that the fermentation should last a minimum of 24 hours and a maximum of 100. 4) The cooking: only in a wooden owen! 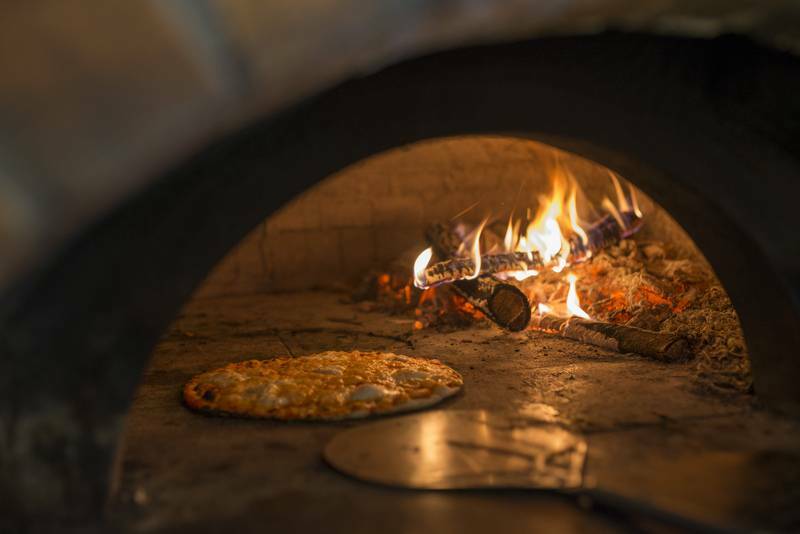 A pizza is not a real Roman pizza if it is not cooked in a wood-burning oven, simply because the combustion of the type of wood used confers particular flavours to the pizza. Obviously, the use of an electric oven eliminates this aromatic component. 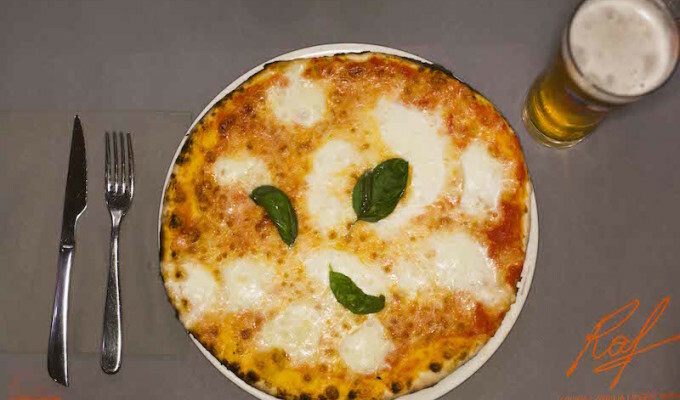 Perhaps not everyone knows the recent origins of the Roman pizza: born in the postwar period in Rome, a good 200 years after debut of the famous Neapolitan pizza. Nevertheless, its popularity is ever increasing: in the whole of Italy it is becoming one of the most popular varieties of pizza. A particular trait is the structure of its crumb (honeycomb, in technical jargon): the micro-holes that make up the edge of the pizza indicate a light and easily digestible batter. 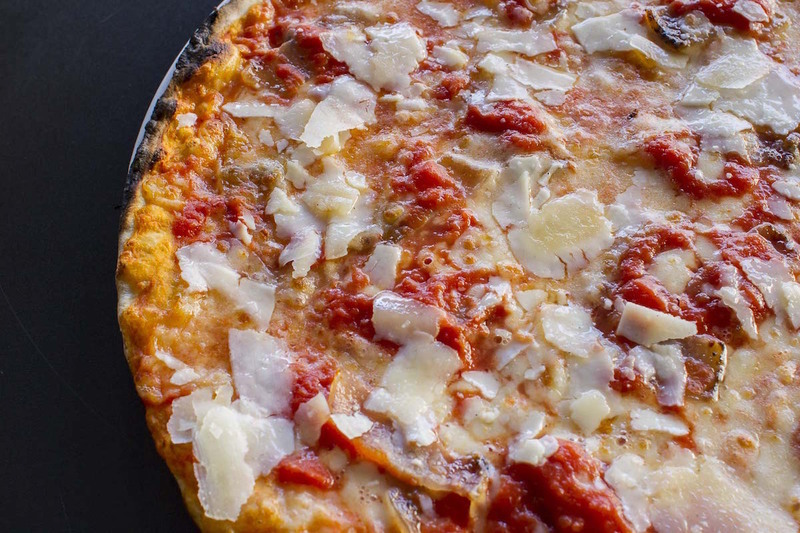 As for the dressing, there really isn’t a definite rule: generally the Roman pizza is prepared with tomato sauce and fiordilatte mozzarella. However, we can find many variations, including one with anchovies and capers. According to some schools of thought, the original Roman recipe also included pecorino, pepper and basil. If you want to experience the real roman pizza, come visit us! And for the most curious among you… TAKE A PEEK AT OUR MENU!